(Jubileumstag). 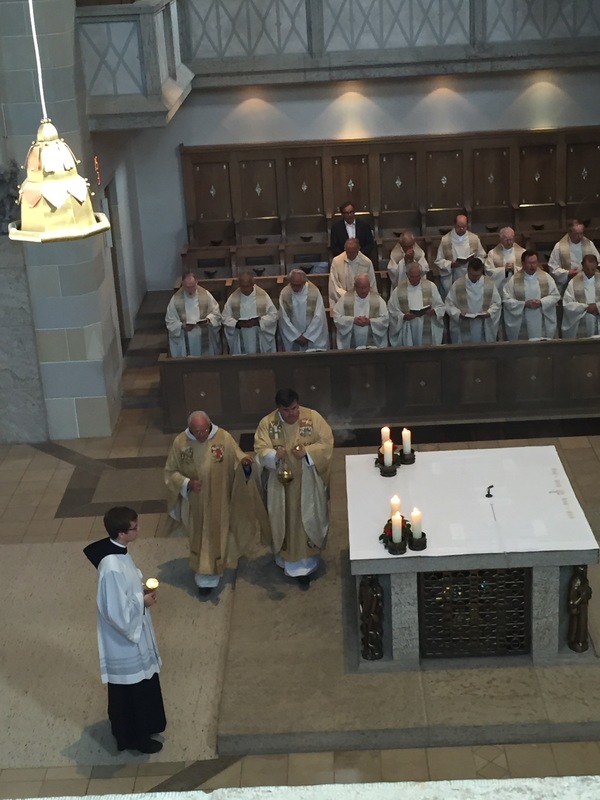 Today at the Monastery, there is a celebration of the multiple years of ministry of priests and religious both here in the monastery, and in the local Diocese of Augsburg. It is a yearly event celebrated at the Monastery. Here we see the many years of service to God, the Church and Humanity. (10/15/25/50 and beyond). For me this year, I also celebrate 25 years Ordained as a Priest. It is a time of deep reflection for me on the meaning and purpose of all of our vocations, from parent, to professional, from president, to street sweeper. After Compline last night the Bells of the Monastery Church rang a joyful peal for 15 minutes in honor of those who have been faithful their entire life in seeking not the way of perfection, but the way of Conversion (Conversatio Morum). Perhaps the first lesson all of us should learn in life is that change is real and inevitable. None of us should be locked into a party, system, doctrine, idea, that does not allow for change, growth, and development. Someone posted this week on social media, ‘the Republican Party is no more’, and I wanted to see instead, ‘the Republican party is evolving.’ Yes, we are constantly evolving! How do we ‘grow’? How do we constantly renew ourselves and become converted? There are ‘monastic practices’ that would suite us all towards this life process. We must reach out to others beyond our own ego and self centeredness. We must live into some kind of community, be it family, or neighborhood, or church, or society. We must remain connected to other human beings, and we must develop, grow and change. Perhaps this ‘connectedness’ has been the greatest joy of my 25 years of Ministry and Service in the church. The many ways that a priest is privy into the most sacred and intimate moments of human life; birth, death, sacred covenants with each other and God, also those moments of contrition, forgiveness, despair and delight. We as priests get to walk with other human beings in these sacred moments that are only once lived. Easy? Hard? Impossible? Life is all three. There are moments when we glide along in life and lose track of all time. There are other moments of deep despair and angst, because life has not given us what we think we need or deserve, or has taken away that which is precious to us. There are moments in life when we literally just have to let go and let God, as we know we are not in full charge of our destiny. Open Hearts and Quiet Souls, are the key to conversion and contentment. I have done my best to Respond, each day of these 25 years to the call I felt deep in my being since early childhood. Thankfully, not one day is the same, every day is new and unexpected. My tools of the Spiritual Craft have been at times humor, other times prayer, many times reflection, other times seeking advise. Each of us needs to have our own toolbox to face life’s many challenges and invitations. PIC: This is a pic of todays Jubileumstag, the Jubilee Anniversary of many years of service. If it were in an Episcopal Cathedral, there would be men and women, gay and straight, black and white, rich and poor. The fullness of our diverse church. 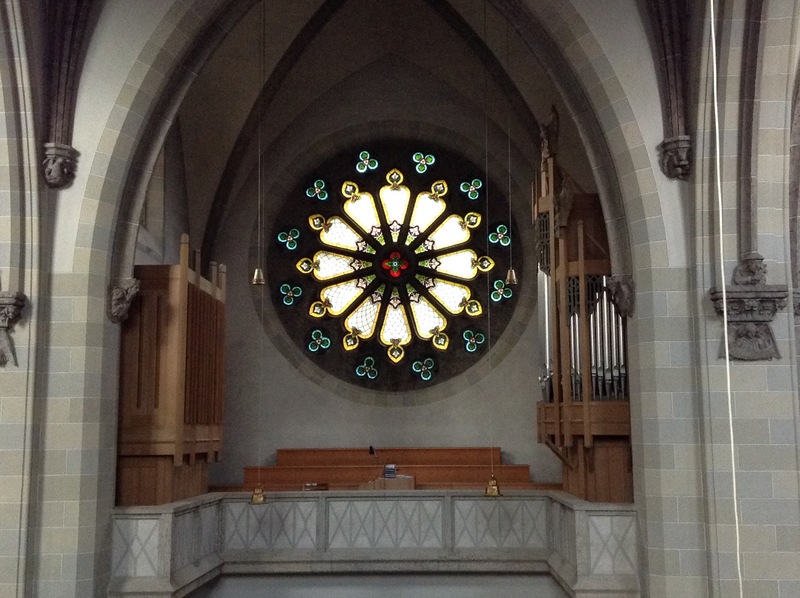 At the end of the Liturgy we sang my favorite German Hymns, ‘Now Thank We all our God’, (Nunc Danket) and ‘Holy God We praise thy Name’ (Grosser Gott). And so it is…Thank You God! and We Praise you and we Adore you!